A beautiful fully furnished apartment located on the 2nd floor with private entrance and deck. Complete kitchen so you may dine in or walk to nearby 4 star restaurants right in Bigfork village. The Large deck is perfect for morning coffee, an evening meal, or cocktails as the sun sets. Apartment is within walking distance to all amenities of Bigfork village including shopping, dining, theater and water activities. Large living room allows for extra guests. Eric and Cyndy Thorsen own the building built in 1906. The apartment has been a part of this building from the beginning as the original owner lived on site, running a true Mercantile in Bigfork. Eric Thorsen currently has his studio in the building, creating amazing bronze sculptures and beautiful paintings in the historic location. You will see him outside the back door creating something spectacular. His wife, Cyndy runs the art gallery and will be happy to show you around! This is a piece of history in Bigfork. We are proud to be a caretaker of the space. This location is so centrally located for you to enjoy all of Bigfork without any bother. Private parking area, with quick access to all that Bigfork has to offer! Take a bath or shower. Large mirror and lots of towels! Easily walk to shop and dine in beautiful Bigfork! You may see the Bigfork Bay from the deck and walk to public dock in less than 3 minutes. Password provided for internet access. No pantry food or dry goods stocked. Please bring your favorite items. Most items are in kitchen for preparing any meal. A fold out table is available for indoor dining with 4 chairs In apartment as well as a outdoor table with chairs and umbrella on the deck. You can bring your roku stick! The entry is on the 2nd floor. You must be able to climb 20 steps in order access this apartment. This is a great place to stay right in the town of Big Fork and close to everything.The Thorson family is so warm and they make you feel like old friends and help you find all the special things the area has to offer. We enjoyed our stay in the "Second Story Hideaway" in Bigfork. It was very clean and nicely furnished. It's in a convenient location to access shops, restaurants and walks along the Swan River and parks around Flathead Lake as well as Glacier National Park. Our hosts were helpful in recommending different sights in the area. Excellent location and accommodations made our trip perfect! Stayed here for 3 nights. Loved the size, location to downtown Bigfork, and amenities. It had a full kitchen and all we needed! Thank you so much!!! The best option. I will repeat!! The loft is very nice and comfortable. It has all I want: relax, peace, near all, fully equipped and a marvellous view to the lake! I love this place and I will choose it again in my next visit to Montana. Our stay was outstanding and was the best time ever. I really didn't want to write a review because I don't want others to know about the best place to stay in Bigfork...............................It sure is a Hideaway............nice people, great places to eat all within walking distance..........can't wait to go back. 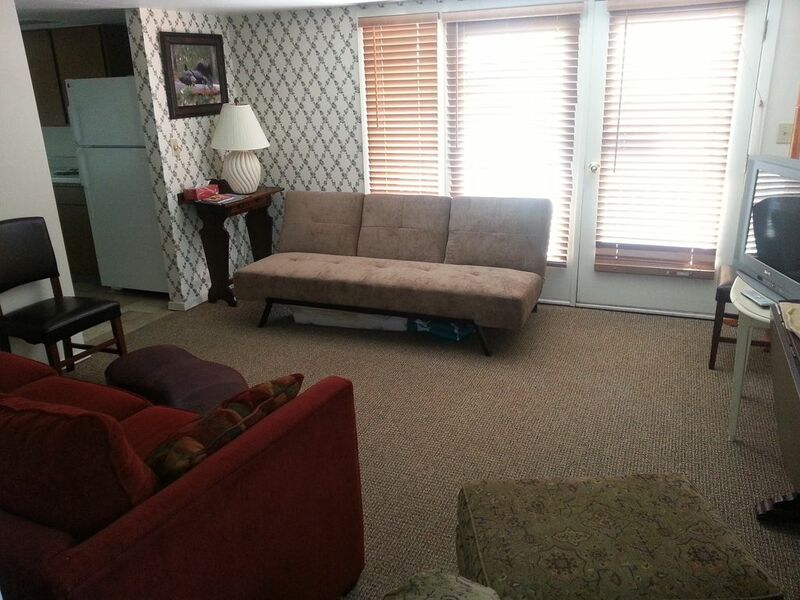 This property is a great place to stay while in the Flathead lake area. Everything is absolutely immaculate, comfy, and cozy. Very clean and well kept. The town of Big Fork is just wonderful, lake is beautiful and close to the grandeur of Glacier Park. I liked that you just park your car and walk and visit all the cool shops in Big Fork and great adventures on the lake. You can't find a more perfect place to stay and take a wonderful vacation!! Located at an altitude of 2,900 feet in the spectacular mountains of northwestern Montana, the town of Bigfork hugs a sparkling blue bay where the swift waters of the Swan River flow into Flathead Lake. With more than 180 miles of shoreline, Flathead Lake is the largest natural freshwater lake west of the Mississippi, providing a scenic playground for fishing, boating and all varieties of water recreation. The town of Bigfork is a picturesque and charming place. World class art galleries, fine restaurants, a 27-hole golf course, live theatre and unique shops can all be found within a quaint Western setting. Located near by, Glacier National Park, the Bob Marshall and the Swan Wilderness areas are full of wildlife and offer endless recreational opportunities for outdoor enthusiasts. Chosen as "One of the 50 Great Towns of the West" and designated as "One of the 100 Best Small Art Towns of the Nation," Bigfork offers you and your family a part of the West that you will never forget.